It's uncommon for first impressions of books to be so completely wrong! When I first started Daughter of Smoke and Bone, I thought I was seeing 'potential Mary Sue' signs everywhere on Karou - the equivalent of neon lights. Happily, the contextual presences of tropes such as having unusually colored - in this case, blue - hair, and a repeated use of 'love at first sight' style attraction are actually very well explained, leading into a deeper conflict than I initially thought. Essentially, Daughter of Smoke and Bone is what seems initially like a lightweight urban fantasy, but turns out to be a whole lot more! But the doors to Elsewhere are closing, marked with blackened handprints. And across the world, people are seeing angels. They're not delusional. Aside from the setting's mysteries, the fluent dialogue also adds a more local tension: we're concerned for the local intrigues of Prague, the social details, not just the supernatural. Karou, for all signs of a 'potential Mary Sue', is not. She's not miraculously competent: she's talented, and we like to read that. More importantly, she's likeable - and doesn't exist in a vacuum. Although the Prague cast is small, it's also a worthy addition. The non-supernatural setting, Prague, is also a nice touch: urban fantasy tends to confine itself to a few locations, and to set it in such a non-traditional (and very atmospheric!) location is a nice touch I can only laud Laini Taylor for. All in all? 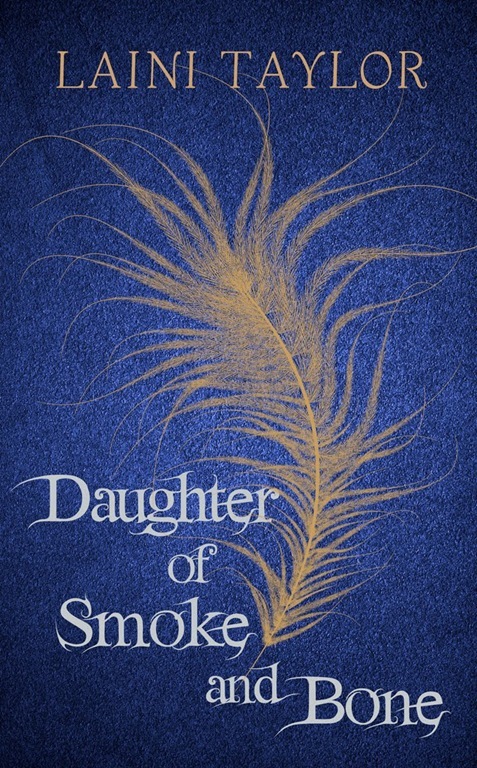 Daughter of Smoke and Bone is a deftly character-driven urban fantasy that quickly deepens - with a sequel hook that'll leave you looking for more. It's not as fast-paced as some, but does it deserve its chance? Definitely. I'd never heard of this book before but it definitely sounds like one I might enjoy. I'll have to look into it. No, neither had I, but apparently they've got some book trailers and other promotional material coming out soon. As for the book, I'd definitely recommend it! It sounds like an intriguing urban fantasy. Angels appearing. Sweet. Bargaining for teeth? Not so sweet. Another title on my 'to read list'.